Communications, and the Graduate School of Business of Stanford University. 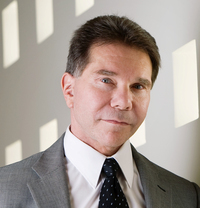 Currently, Dr Cialdini is Regentsâ€™ Professor Emeritus of Psychology and Marketing at Arizona State University. “Every once in a while there comes along a book that can change your life forever. This can be a spiritual change, a physical change or a change on how you see the world and perceive information. 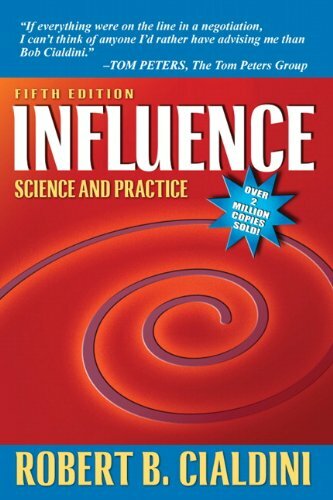 "Influence" by Robert Cialdini definitely falls into the latter category. 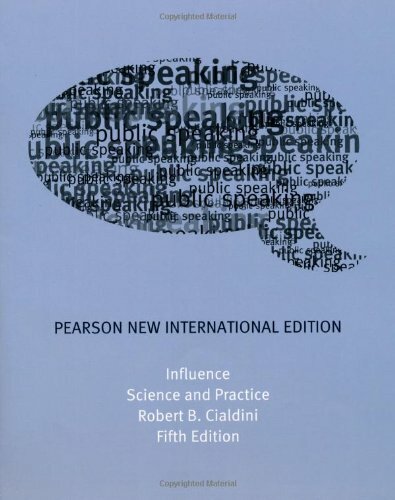 This title offers the reader a lens which to view the world through and uncover the tenets of persuasion that dictate a large proportion of human decision making behaviours. We've all seen a common device in TV and movies where a character will act like they are wrong or give a sensibe option to a decision maker, only to have the option summarily shut down and the decision maker then chooses the seemingly less desirable option. But all along, the original character WANTED that seemingly "less desirable" option to be chose, making them the persuader and ultimately in control of both the situation and the outcome. And hence the idea of persuasive behaviours and language has now filled your head (as I have persuaded you to do so). If you feel a touch foolish after reading that, don't worry. You're not alone. Cialdini himself states at the start of the book that "I can admit it freely now. All my life I've been a pasty." an "easy mark" and "a long-standing status as a sucker". But it is this realisation itself that stoked the fires of Cialdini's curiosity towards "The psychology of compliance". That is, why a request phrased one way will ultimately fail, while only a slightly different approach (usually only one small change) will garner a much better result. Thus began his three year program of study on what moves people to change their behaviors. 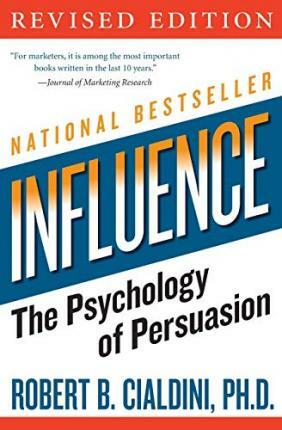 Each chapter's idea is dissected and laid bare using not only research based evidence from past studies (over 35 years worth by Cialdini's approximation) but also the specific studies Cialdini undertook himself in understanding these basic tenets of influence. Now you might be thinking that this is just a book where an author asserts a specific point of view and backs up these assertions with science-based evidence. Well you'd be correct. But where this title ultimately differs is that within each of the tenets some studies allow Cialdini to draw varied or slightly different conclusions to his original assertions. 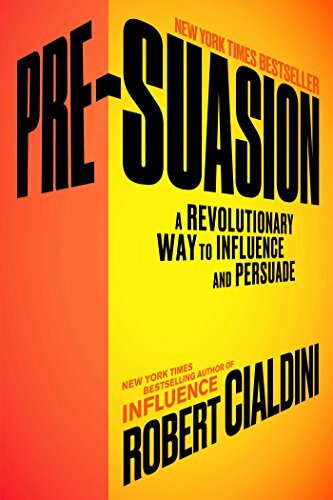 This gives both Cialdini far more gravitas in his research and the ideas he's communicating and the reader a higher level of understanding of the concepts at hand. "Very often when making a decision about someone or something, we don't use all the relevant available information; we use, instead, only a single, highly representative piece of the total. And an isolate piece of information, even though it normally counsels us correctly, can lead us to clearly stupid mistakes - mistakes that, when exploited by clever others, leave us looking silly or worse." This final part of the book emphasises the need for us to look beyond that which might appear truthful at face value, but can leave you exposed if you trust the most "widely known" part of it. From Twitter feeds to "Trending Stories" on Facebook to targeted advertising, unless we look within ourselves to get a bigger slice of the picture, more often than not in the digital age, we're going to lead ourselves astray and in turn, exposed. Although Influence isn't a long book as far as page count is concerned (approx 300 pages) the font is pretty small and thus can take a little longer to read. But I found both the content and the way it was presented (via Cialdini's affable writing style) so compelling, the title never felt like a chore to read. Is Robert Cialdini's Influence a life changing book?